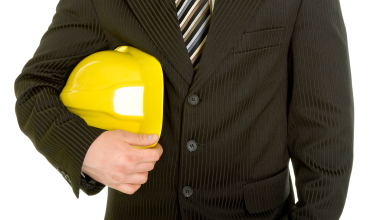 Are you in need of highly professional and qualified Health and Safety Consultants? Contact us to obtain the very best health and safety advice. Our health and safety consultants are professionals that are trained to help your organisation. They manage your health and safety issues cost effectively using specialist risk management techniques. Achieve a high standard of health and safety compliance. Comply with their legal responsibilities and more. At our first meeting we will consider your existing or proposed health & safety policy. Look at risk assessments and safety management arrangements, method statements, policies, staff safety training etc. This allows us to highlight areas that may require particular or immediate attention. Please note that we will do this with you, allowing you access to every step of the process. We will undertake an initial safety tour of your premises and provide you with a written report of good and poor practice. This is used as a baseline indicator to measure the effectiveness of our service at quarterly intervals. You will receive a written report supported by a record of our findings. We will also undertake a formal audit of your health & safety management documentation. If required provide you with a complete portfolio of template documents that can be the basis of your future health and safety management and evidence based files. At this point we will have a good understanding of your business activities and we will be in a position to plan our actions with you. Undertaking Risk Assessments / Safe Procedures & the Safety Folder. We will write these policies on your behalf and provide you with a comprehensive Health & Safety File. This will include Safety Management Procedures that cover all the necessary actions and forms required. We will ensure that you meet the statutory requirements placed on you. Having identified your staff training needs, we could deliver a wide range of training at your premises where possible. We will undertake an agreed number of visits to your premises as required. The intention of these visits is to meet with you and monitor the arrangements put in place and inspect your workplace. You will be provided with a written report on each occasion. Areas of good and poor practice will be highlighted and any hazards / risks will be assessed and documented. All of the above will be documented and we will provide you with a safety file in both paper and digital formats. We will ensure that all actions, training and inspections are evidenced. It is impossible to set-up a package that covers every businesses requirements. Please call us to discuss your specific requirements and we will gladly discuss it either on the phone or at your Site free of charge with no obligations. If you are unsure as to what health and safety consultancy you may require please fill in the form – contact us, telephone on (01925)446718 (office) or 07862230077 (mobile). Alternatively email us at info@mhatraining.co.uk and we will be more than happy to assist or come and assess your current records free of charge to ensure legal compliance. MHA Training was established in 2008 based at our training centre in Warrington, Cheshire. We provide an array of services On-Site also for clients around the North West in areas such as Manchester, Liverpool, Widnes, St Helens, Runcorn, Wigan, Preston and Leeds. Over the years we have expanded and have consultants available Nationwide. Click Here to Enquire what our Health and Safety Consultants can do for you.